A gear reducer is a piece of equipment built with a system of gears that reduce input rotational speed and redirects the same to another component at a lower speed and higher torque. It is also known as a gear shifter or gear box, and it is used to reduce speed to avert the loss of control in rotating systems such as engines. Gear reducers change the input by changing the ratio of two mechanical parts. This piece of equipment is commonly used in automotive and conveyor systems due to the feature that can control speed. Gear shifters come in various types and they are used in various industries for different kinds of applications. Each type of gear reducer offers its own strengths and drawbacks. Listed below are the different types of gear reducers to help you understand each of them, from the experts at Bauer GMC. Spur - This is the simplest type of gear reducer when it comes to design and builds. It has 98% efficiency when it comes to handling or controlling high gear ratios. The drawback in this type of gear shifter is that it is noisy and it is not applicable to uses that need quiet operations. Bevel - This is a type of helical gear shifter commonly used in the mining industry. It provides motion between shafts that are not parallel. Coaxial Inline - A very efficient type of gear box that is designed and engineered to operate with little friction. Suitable for heavy applications such as lifting, construction, and tank fabrication. Skew Bevel - This is a rigid and strong type of gear reducer excellent for transporting heavy loads. Planetary or Epicyclic - It is a type of gear shifter characterized by a central gear with orbiting gear around it. It has a compact design and is capable of handling high ratios to deliver large amounts of torque. 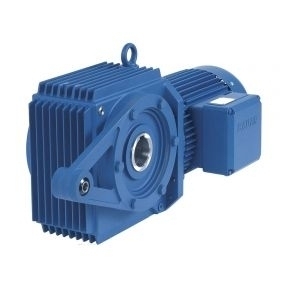 It is also a type of gear reducer that is also efficient at low speed. Have any questions? We love to talk gears at Bauer GMC. Call or visit us today to learn more!